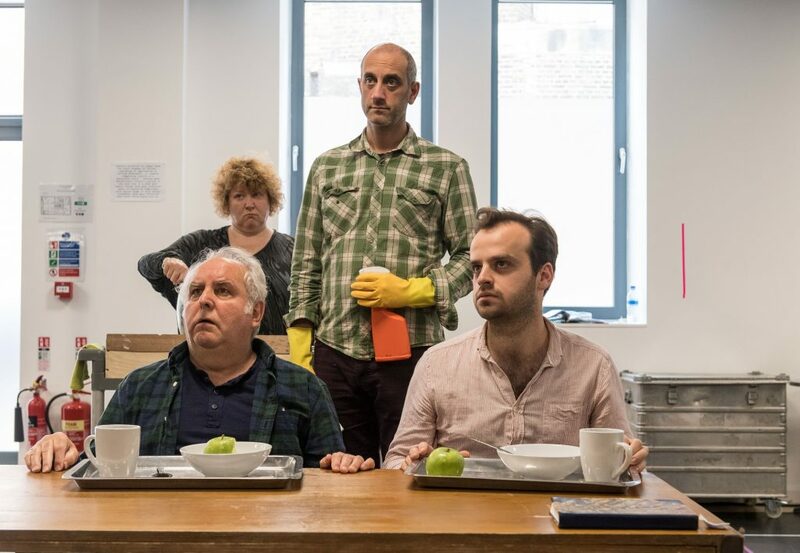 Cast rehearse 1984’S third West End run. Images Manuel Harlan. A fresh cast is in rehearsal for the third return to the West End of George Orwell’s dystopian masterpiece, 1984. Robert Icke and Duncan Macmillan’s adaptation of 1984 will star Rosie Ede, Andrew Gower, Joshua Higgott, Richard Katz, Anthony O’Donnell, Daniel Rabin, Catrin Stewart and Angus Wright alongside Eve Benioff Salama, Cleopatra Dickens, Amber Fernee and India Fowler. The critically and publicly acclaimed production returns to the Playhouse Theatre in London’s West End this summer following a sell-out international tour. George Orwell’s canonical work, adapted by Olivier Award-winner Robert Icke and Olivier Award-nominee Duncan Macmillan, previews from June 14. Now seen by over a quarter of a million people, this Headlong, Nottingham Playhouse and Almeida Theatre production premièred in Nottingham in 2013. Since opening, 1984 has played to packed houses at the Almeida Theatre, as well as throughout its two West End runs and in performances across the globe during national and international tours. 1984 runs at the Playhouse Theatre from June 14-September 3.